March 25 was a historic day for the Pennsylvania state legislature. It marked the first time that a Muslim woman state representative, Movita Johnson-Harrell (D-Philadelphia), would be sworn into the general assembly. As is customary at the state House, the session started with an opening prayer. But the prayer was anything but ordinary. 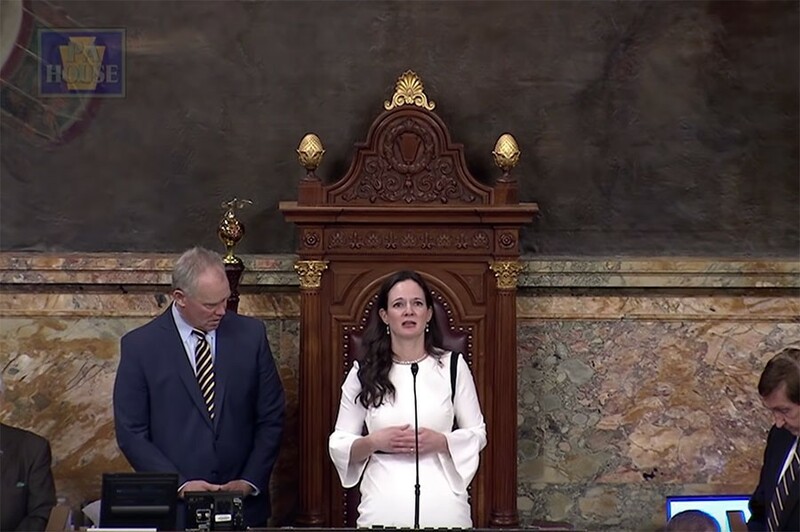 State Rep. Stephanie Borowicz (R-Clinton) recited her prayer, which according to Harrisburg blogger Sean Kitchen, Borowicz said “Jesus” 13 times, “God” six times, and “Lord” four times, all in less than two minutes. She also thanked Jesus for President Donald Trump and for his support for Israel. She made no mention of Islam, Muslims, or people of any other faiths. 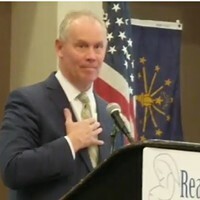 Even state House Speaker Mike Turzai (R-Marshall), a devout Christian, seems to change his expression about 45 seconds into the prayer and appears to tell Borowicz to wrap up the speech shortly after. State Rep. Dan Frankel (D-Squirrel Hill) said Borowicz’s prayer was a lost opportunity to display Pennsylvania’s diversity. The opening prayer was a lost opportunity to show the strength in our diversity, and it was an unwelcome distraction from a proud day for @RepMovita, her guests and her constituents. 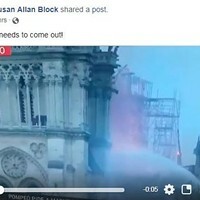 According to Johnson-Harrell, more than two dozen of her friends and family members were in attendance, many of whom are Muslim. Near the end of the prayer, an audible objection can be heard on the video. After the prayer, House Minority Leader Frank Dermody (D-Oakmont) took to the floor. The House usually leads each session with a prayer, but ever since a federal judge ruled last year that atheists can’t be banned from leading the prayer, state lawmakers have been invited to lead it, instead of chaplains. Borowicz told PLS reporter Andrew Bahl, "That's how I pray every day,” and when asked about Democrats calls for an apology she said, "Oh no, I don't apologize ever for praying." 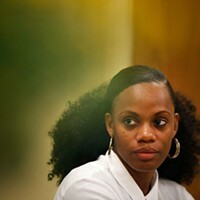 Johnson-Harrell called for an official censure of Borowicz. A censure is when the House votes whether or not to officially condemn a person's actions. State Rep. Ed Gainey (D-East Liberty) tweeted that the whole incident overshadowed a historic moment.